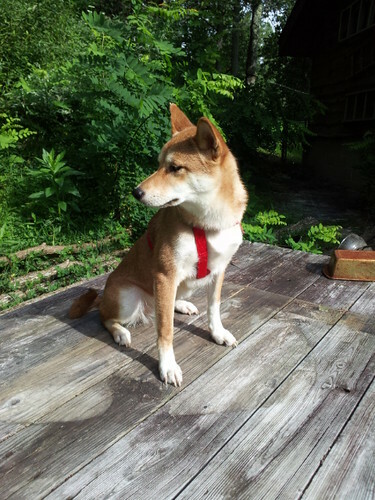 I live in NC and want to find some Shiba Inu meet ups for me and my pups i have a cream male named Buckshot and a red female name Roxy they love to play and meet other Shibas!! Since this is an introduction post, why not tell us a little more about yourself and your Shiba? After a proper introduction, you will have full access to the forum, where you will be able to post your questions in the appropriate categories or append to existing threads. You can bump the NC meetup threads (ED: i.e., this one or this one or this one) and arrange something, if you'd like. We request that members search the discussion archives (browsing the categories on the sidebar, or using the search function above), and bump pre-existing threads before starting duplicate threads, as it helps keep the forum neater. It also helps to give descriptive titles to your posts and to put them in the appropriate category. 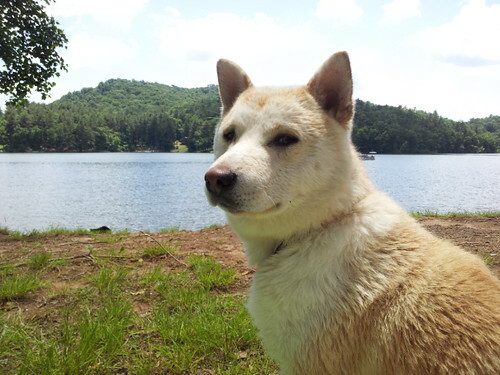 My shibas and i live in WNC and i am still trying to figure this out, how do i set a profile pic? we would love to create some sort of meetups if there arent any in NC my pups love hiking and there are lots of places here to do that!! If you click on your username at the top strip, you should open up a profile user menu. On the left, there should be a "change my picture" link, and go from there. Other info about how to post pictures, etc. is in the link provided above. So what brought you to Shibas? How old are Buckshot and Roxy? Have they had a chance to meet up and play with other Shibas before? A group hike sounds nice. Buckshot just turned a year old this passed month and Roxy is only 8 months old they are in love with one another and i just know they would love other shibas when i first got her from the breeder (who was a little scary) she was scared of everything the most skittish thing i've ever had, a few days after having her i introduced her to my Buckshot and they hit it off he completely brought her out of her shell she is a total shiba now! im not seeing a picture option either i see change my password but thats it? ok no problem :) excited about this forum! 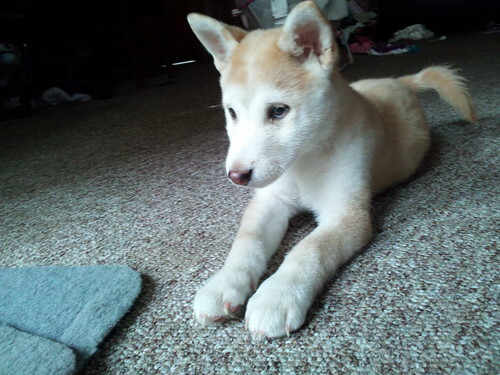 My female Roxy is really coming around today she has been playing outside all day she is finally lifting her tail up like a shiba and getting excited to play with me and Mr Buckshot!! she even started walking up to my husband! If you join the meetup group that I sent you the link to, you can be sent invites. We meet about once a month. Hi there! I recently relocated to Durham. :) Our shibas love hiking in the Duke Forest! oh that does sound amazing! ours like a place here in WNC called granite city... whats the hike like out there? how many shibas do you have?